A sell out crowd is expected for Shrewsbury’s 4th round encounter with Premier League Wolves later this afternoon (KO 15:00). Shrewsbury’s reward for knocking out Championship side Stoke in the last round sees Premier League outfit Wolves visit the League One side. The hosts, without a league win this year, pulled off an unlikely comeback in their 3rd round replay at Stoke. Two nil down, away from home and playing against a side who’d recently been relegated from the Premier League, Shrewsbury looked set to be dumped out of the cup with twenty minutes remaining at the Bet365 stadium. But somehow, from somewhere, the Shrews rallied in the dying minutes to pull off one of the great FA Cup comebacks. Midfielder Josh Laurent was the hero late on, scoring the all important goal to book Salop’s place in the next round, and he’s 7/1 to score anytime against Wolves. 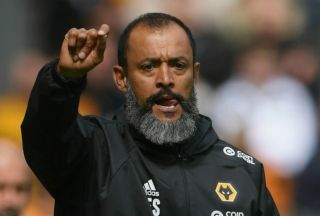 Nuno Santo’s soft head in to Saturday’s clash full of confidence after dispatching the Premier Leaguer leaders in the previous round. Wolves have been exceptional this season. They defend well, work hard and score plenty of goals. Their League 1 opponents will have their work cut out on Saturday. Both teams have score in four of Shrewsbury’s five FA Cup games this season, and it’s 21/20 to happen again. Diogo Jota netted a hat-trick in last week’s win over Leicester and he’s 5/1 to open the scoring and he’s 40/1 to net successive hat-tricks. Wolves will be wary, though. They are winless in their last two FA Cup clashes with teams from League 1. A shock Shrewsbury win is available at 6/1, the draw is 7/2 and Wolves are 1/2 to get the job done.